The unique look provided by a curved gable gives a cottage roof an otherworldly character — one that transports the viewer far from everyday life and into a place out of time. Traditionally, however, curved gables have presented a considerable engineering challenge, particularly on wooden roofs. We are distinguished by our ability to meet the complex design and restoration challenges posed by today’s most demanding customers. As part of our Country Cottage Roof system, we offer curved gable shingles in a range of sizes and configurations. Keep reading to learn more, or contact our office directly to request a quote for your project. 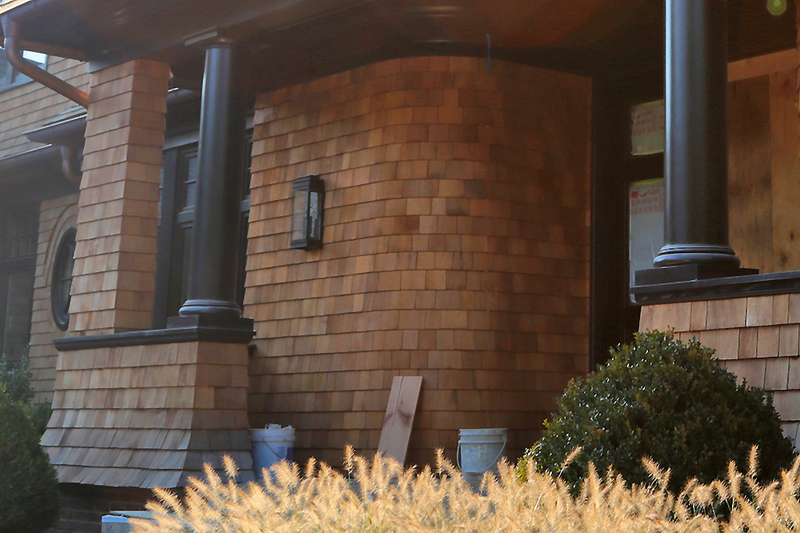 Our Cedar shingles can be curved against the grain (side-to-side) for use in large rolling gables as well as rounded columns, carrot rakes, canoe valleys, inset window walls and other architectural details that add interest and mystery to a roof. Choose from a range of pre-shaped shingles, or let us develop a custom product formed to the specific radius you require. 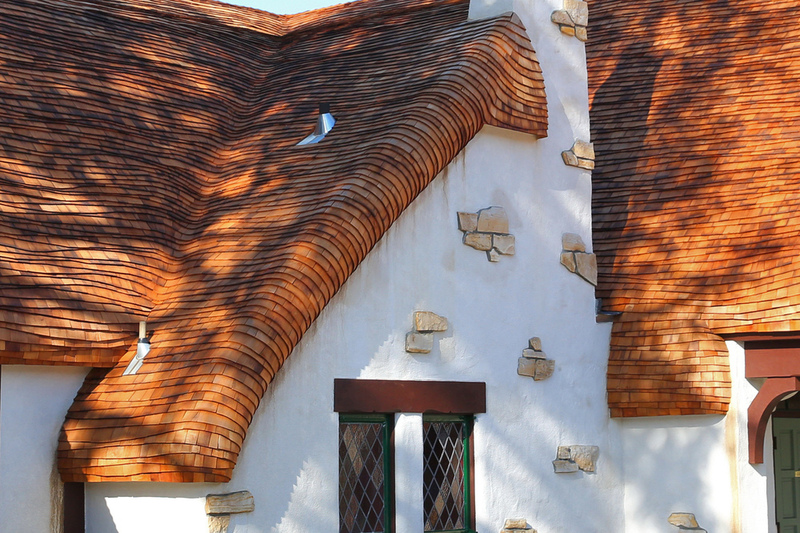 Any of our shingles or shakes can be shaped for use in a curved gable. Western Red Cedar is our most popular shingle material, as it is abundant, cost-effective and possesses excellent natural resistance to decay. We also offer shingles in Alaskan Yellow Cedar, which is more finely textured and better at repelling moisture, and Eastern White Cedar, which has a more neutral color that takes well to stained finishes.